Cannabis traces found on Shakespeare's pipe - was the bard into pot? Cannabis traces found on Shakespeare’s pipe – was the bard into pot? William Shakespeare – universally praised as one of the best writers in history, eminent dramatist and England’s national poet, is still a controversial figure. There is speculation about the authorship of his works, with some scholars claiming they were written by someone else; there’s also speculation about his sexuality, his religion, and even his looks. 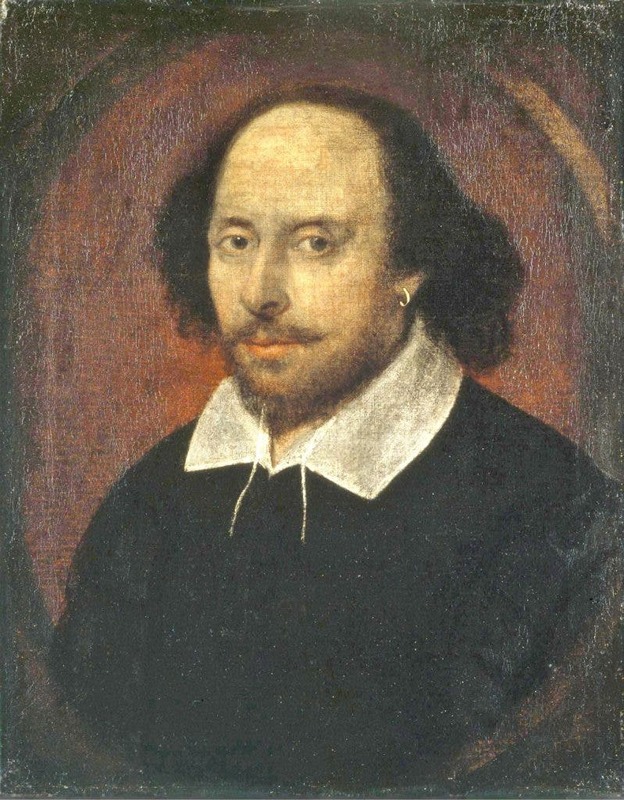 Contrary to popular belief, no written contemporary description of Shakespeare’s physical appearance survives, and no evidence suggests that he ever commissioned a portrait. Now, there’s a new topic of discussion (read: gossip) around Shakespeare – he seems to have smoked marijuana. We think that this is how Shakespeare looked like, but we don’t know for sure. This is the Chandos portrait, artist and authenticity unconfirmed. Located in National Portrait Gallery, London. South African scientists have studied 400-year-old tobacco pipes excavated from the garden of William Shakespeare. They conducted forensic analysis on the pipes and found residue of marijuana – low concentrations, but the signature is definitely there. This non-destructive chemical analysis was undertaken using state-of-the-art forensic technology at the South African Police narcotics laboratory, by three scientists (Professor Francis Thackeray, Professor Nicholas van der Merwe of the University of Cape Town, and Inspector Tommy van der Merwe). There was also evidence of cocaine on some pipes, but not the ones from Shakespeare’s garden. A similar study was conducted in 2001, with similar results. During the time the bard was writing his works of art, there were several types of tobacco used in England, including the North American Nicotiana (from which we get nicotine), and cocaine (Erythroxylum). Although there is no conclusive evidence, some historians believe that renowned explorer Francis Drake actually brought cocaine to Europe; but regardless who brought it, it was in England during the 16th century – Shakespeare’s neighbors smoked it, while the author seemed to prefer cannabis. There are also literary indications which support these findings. In Sonnet 76, Shakespeare writes about “invention in a noted weed”. Although it’s not entirely clear if he refers to “a weed” or “the weed”, it seems to be a strong indication. In the same sonnet, he also mentions that he doesn’t want to be associated with “strange drugs”, which is arguably cocaine. So, was Shakespeare high when he wrote his masterpieces? It seems like a very plausible scenario. His performances at the Elizabethan court might have been shrouded in a cloud of cannabis, his inspiration fueled by it? Or was it just his way of relaxing after a long day? We may never know, but one thing seems very likely – the bard was an ent.